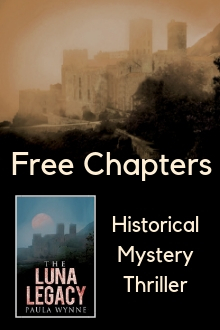 The Luna Legacy is the third historical thriller in The Torcal Trilogy. It follows the award-winning The Grotto's Secret and The Sacred Symbol. Each book is a stand alone story, but you may enjoy reading the series.